Believe it or not, not all targets are created equal. Some are great for beginners, others, competitive shooters. However, no matter who you are, or how much skill you lack, the IQ Target from RE Factor Tactical is a great target. Why is the IQ target great for this? Well, simple answer, it makes you think and improve your skills during the more complex shooting scenarios. If you’re shooting with a buddy, or you have an instructor present, they can call out different scenarios such as, “shoot all the triangle”. Instead of just shooting at one circle, you now have to reconsider your aim every time a new scenario is given. And if you want to hit the bullseye, you’ll have to continue focusing on the basics, breath control, trigger squeeze, sight alignment/sight picture, etc. So, if you’re up for a challenge, the IQ Target might be the target for you, whether you’re looking for a pistol or rifle target because you can get it for both types of weaponry. Being a marksman shooter requires a lot of practice, a lot of rounds, and a lot of variety. 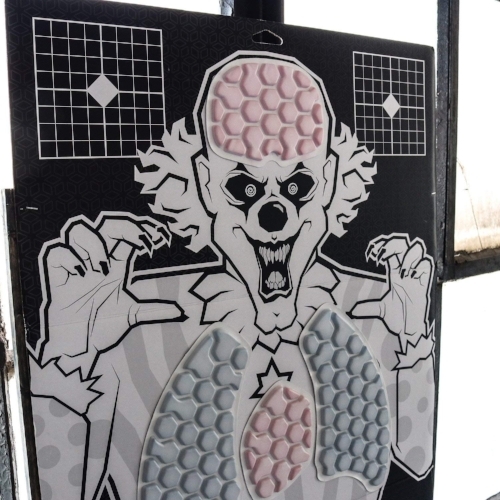 And if you truly want to increase your marksmanship, you should look at VTAC targets by Kyle Lamb. These targets not only come in a realistic human silhouette form, but they also come with versatility. The visible skeleton, with the center of gravity impact boxes and its competition style overlay—made to scale—lets you practice target transition on a realistic scale. The versatility comes into play when you flip it over and find it’s a double-sided target. And what do you find on the other side? A target dedicated to marksmanship training. Here you’ll find four SR-1c bullseye targets gridded with 1” squares, making it easy to reference when zeroing and grouping. Still not enough for you? The marksmanship side also has Numbered Precision Shooting Shapes and challenges the shooter in up-close situations, especially when on the clock. Often when we start gearing up for the range, we think about our firearm, safety, nice-to-haves, etc. But, do you put any real thought into your target selection? If not, now’s the time to start. Why is this you ask? Well, we’re glad you asked! If you want to work on marksmanship, you have to work on shooting well no matter the situation. Targets like the Essentials Target from RE Factor Tactical are excellent in helping shooters in this area because it presents variety. But, what is it that makes the Essentials Target so cool? It’s the essential set of drills that you can practice on it. It’s a target that was designed specifically with the marksman in mind—or at least the want-to-be. Pair it with the Essential Shooting Guide, and you’ll have yourself some real quality time at the range. During one drill and 150 rounds later, you’ll cover slow aimed fire, weak and off hand shooting, target transition, trigger speed changes, drawing, magazine reloads, and controlled multiple shot groups. Now, if that’s not meant to help improve marksmanship, we don’t know what is. If you’ve spent any amount of time in the world of shooting, there’s a chance you know what IPSC is. If you don’t, IPSC stands for International Practical Shooting Confederation. Now, if you’re wanting to show off your marksmanship skills, this is the place to do it, and that’s because they not only recognize all shooting disciplines, but they present you with a variety of targets, including moving targets, reactive targets, penalty targets, partially covered targets and obstacles. Maybe that sounds like a little much for the new shooter, but no need to fret. You can start working on your marksmanship with IPSC approved targets. Why are these targets so great? An IPSC target is broken down into three zones. 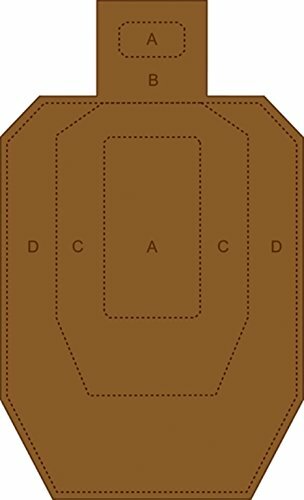 Zone A, C, and D. Depending on which group you hit will depend on how many points you get. Of course, A is the center and head target, so you get the most points for hitting that zone. If you use an IPSC target to practice your marksmanship skills, you can decide what zone you want to hit and go from there. Maybe today, you’ll work on headshots? Don’t you wish, you could know you hit the target right away? Well, you can, with reactive targets. These types of targets are especially appealing to new shooters. Why? Because something happens when you hit the target. You can get reactive targets that make a noise when you hit them, targets that fall down and come back up, and even splatter targets. Why is this style of target great for marksmanship? Because you can get immediate feedback. If you don’t get that feedback, you know you’re doing something wrong and you can fix yourself before firing off the next round. Some targets, like this paint splattering zombie clown, not only give immediate feedback, but you can really focus on where you want that feedback to come from. Did you mean to hit the third paint pocket from the left in the brain, but you actually hit someplace on the chest? Targets like this are great because you’re not just shooting rounds downrange. You’re getting immediate feedback so you can make immediate changes. Because if you don’t know you’re missing the target when the first round fires, how are you going to get any better on round 15? Just to recap, if you want to be a marksman, you need to practice. That practice doesn’t simply mean putting rounds down range. It also means using the best shooting targets to give you the best quality training time. So, don’t just shoot, shoot with a purpose, and try out some of these first-class targets the next time you’re at the range.